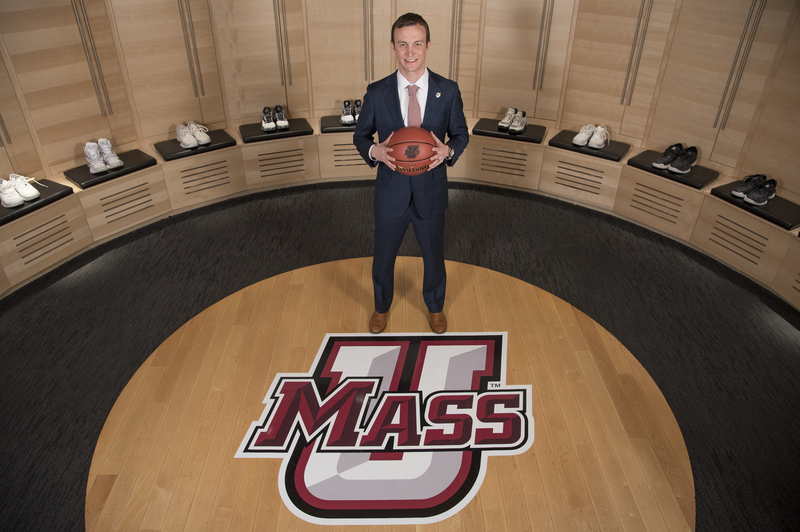 It’s ironic that I’m writing this post on exactly my 90th day on the job here at UMass. The speed at which time goes when your fortunate enough to become a head Coach is amazing! It is a complete whirlwind and there will be plenty of times where you need to stop…and take a deep breath and keep reminding yourself to accomplish one thing at a time. Something I started when Coach Donovan hired me back as an Assistant Coach in 2011 was every time he addressed the team or staff I would take notes. It may be the first team meeting of the year, or addressing the team after a big win or bad loss. It may have been a staff meeting where he was lining out expectations for everyone or his thoughts and ideas on recruiting. I was fortunate enough to be working for a future Hall of Famer, but daily I would revert back to those notes when dealing with different issues with our team. I utilized them so much I wish I would’ve started taking notes when I originally started working for Coach as a student manager back in 2001. 1. Take Your Time With Your Staff – Really evaluate not only what the program needs, but what you feel you need as a head coach. In my 11 years at the University of Florida I saw first-hand the impact having a former head coach on your staff as an assistant can have. Guys like Larry Shyatt, Rob Lanier, John Pelphrey, and Norm Roberts all had sat in the head coaches chair and I saw first-hand the value they brought to our staff. That was important to me when I got to Chattanooga and I had that with Reggie Witherspoon in my first year. There were two things that were extremely important to me here at UMass: 1. Hiring guys that had tremendous ties in the Northeast and 2. Hiring a former head coach. The first piece happened within the first month on the job but I was determined to take my time on the 2nd piece and bring in the right guy. There’s no need to rush! 2. Invest in your staff – 9 times out of 10 you’re going to be working with guys on your staff you’ve never worked with before. I am a firm believer in your staff should be a direct reflection to your players of your culture. Spend time in investing in each other. Getting to know each other. Not just in laying out your expectations but really trying to connect. We expect our players to be a connected unit out on the floor then we should hold our staff to the same standard. 3. Take Your Time in Recruiting – This is vital! Again, there’s no need to rush. Have to make sure you are taking the right guys that fit your culture or what your trying to build. Taking the wrong guys can really set your program back. Maybe not right away but definitely down the road. You’re always going to want a scholarship! Trust me. Its ok to pass on a guy you don’t feel is the right fit. Make sure your staff has a clear-cut picture of the type of guys you want to bring in. Also, if there are any signees make sure you thoroughly evaluate them. Are they the right fit? Don’t assume. Better to have difficult conversations early than after they have been in your program for a year! 4. Know your budget – As an assistant coach at a HM program when you hit the road for July recruiting very rarely does the thought of how much traveling actually costs creep into your mind. Fast forward to September: very rarely do you consider how much money official visits actually cost! As important as July is, at a MM/LM program September and April are even more important. Know what your budget is! Find ways to be creative if it’s a low number. Maybe not leave until Thursday AM and come back Saturday night. Can eliminate 2 nights in a hotel! It’s easy to get caught up in the hustle and bustle of recruiting or scouting once the season comes around. Take a second to write down your thoughts, ideas, or how you would want to handle certain situations when they arise. Always trying to learn, grow and get better! Matt McCall is a star on the rise. In two years at UT Chattanooga he compiled a record of 48-18 including a school record 29 wins in his first year as a head coach in 2015-16. That season UT Chattanooga captured the SoCon Regular Season and Conference tournament titles. Matt has had stints as an assistant coach at Florida Atlantic University under Mike Jarvis and at his alma mater, the University of Florida, under Billy Donovan.